NEW YORK (IPS) – Following in the footsteps of Pope Francis, who has taken a vocal stance on climate change, Muslim leaders and scholars from 20 countries issued a joint declaration Tuesday underlining the severity of the problem and urging governments to commit to 100 percent renewable energy or a zero emissions strategy. 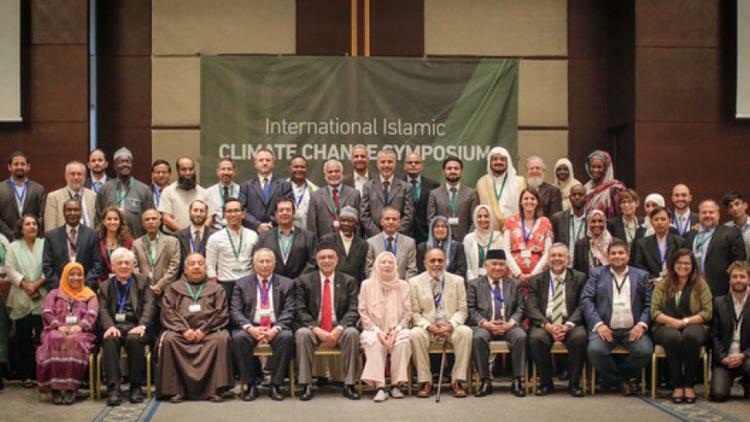 The call to action, which draws on Islamic teachings, was adopted at an International Islamic Climate Change Symposium in Istanbul. “Our species, though selected to be a caretaker or steward (khalifah) on the earth, has been the cause of such corruption and devastation on it that we are in danger ending life as we know it on our planet,” the Islamic Declaration on Climate statement says. Welcoming the declaration, UNFCCC Executive Secretary Christiana Figueres said, “A clean energy, sustainable future for everyone ultimately rests on a fundamental shift in the understanding of how we value the environment and each other. Supporters of the Islamic Declaration included the grand muftis of Uganda and Lebanon and government representatives from Turkey and Morocco. The UNFCCC notes that religious leaders of all faiths have been stepping up the pressure on governments to drastically cut carbon dioxide emissions and help poorer countries adapt to the challenges of climate change, with a key international climate treaty set to be negotiated in Paris this December. In June, Pope Francis released a papal encyclical letter, in which he called on the world’s 1.2 billion Catholics to join the fight against climate change. The Church of England’s General Synod recently urged world leaders to agree on a roadmap to a low carbon future, and is among a number of Christian groups promising to redirect their resources into clean energy. Hindu leaders will release their own statement later this year, and the Buddhist community plans to step up engagement this year building on a Buddhist Declaration on climate change. Hundreds of rabbis released a Rabbinic Letter on the Climate Crisis. The Dalai Lama has also frequently spoken of the need for action on climate change, linking it to the need for reforms to the global economic system. Interfaith groups have been cooperating throughout the year. The Vatican convened a Religions for Peace conference in the Vatican in April, and initiatives such as our Our Voices network are building coalitions in the run-up to Paris. Reacting to the Islamic Declaration, the World Wildlife Fund’s Global Climate and Energy Initiative Head of Low Carbon Frameworks, Tasneem Essop, said, “The message from the Islamic leaders and scholars boosts the moral aspects of the global climate debate and marks another significant display of climate leadership by faith-based groups.